The morning of July 4th, 2013 my first act was to check the METAR/TAF on my iPhone for PAKT through eye still unfocused due to an alarming lack of coffee. The short story…the weather was awful. Low ceilings at Ketchikan and all along the route of flight along with low freezing levels meant the prudent decision was to delay. I had no desire to fly in the clouds loading my sleek Bonanza wing with ice while flying over some of the most remote land in North America. No, even the Best Western was better than that! At this point, I must brag on my teenagers and my bride. Not a single complaint, groan, or even a rolled eye. No big deal. This may seem small, but the pressure of disappointing your family can be a huge factor in making a foolish aeronautical decision. We have flown as a family for many years and everyone knows that schedules are very fluid and dependent on many factors outside of our control. Resigned to stay, we arranged for another night in our room and I medicated my pain with coffee and a greasy breakfast. As the morning wore on, we started seeing blue sky and improved visibility. I started seeing pilot reports showing negative ice and layered clouds. 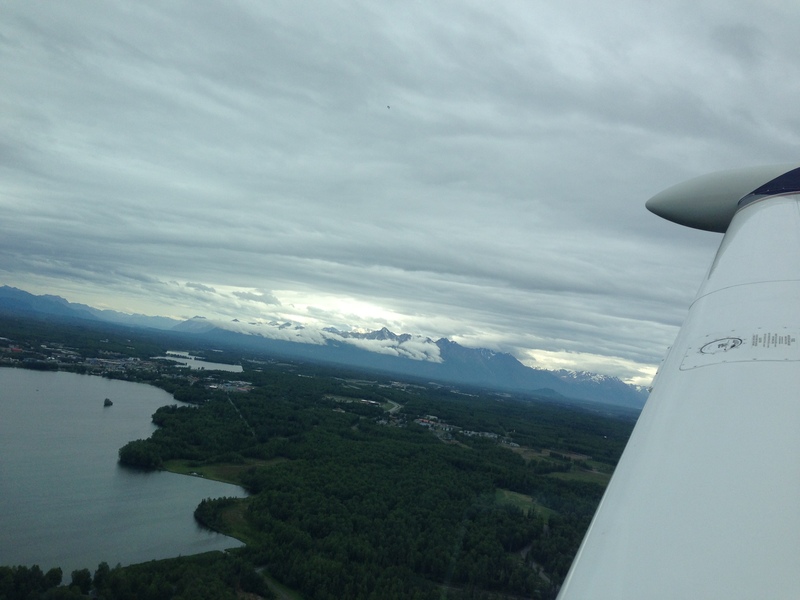 Even though the clouds and visibility had improved, the headwinds had increased. 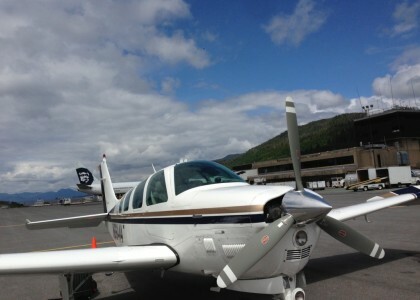 I adjusted the plan to fly non-stop to Wasilla, AK (PAWS) and decided to stop at Yakatat (PAYA) and refuel. I filed and we checked out before noon (no additional charge) and headed to the airport. We climbed out through an overcast and were clear of the clouds before the temps fell below freezing. Initially we climbed to 12,000′ and cruised there for about 30 minutes, then climbed to 13,000′ for terrain clearance…which was strange since we were basically flying over the ocean. The clouds gave us peeks at the beauty below us. At beautiful it was! 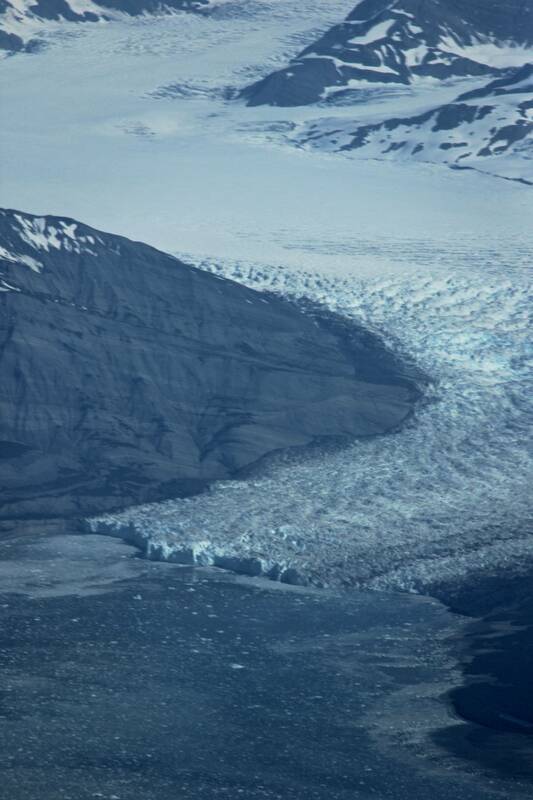 The memory of seeing my first glacier out the window of our Bonanza while stick with me forever. What a great moment. Then I saw some clouds building up ahead…only they didn’t seem quite right…. Those weren’t clouds…they were mountains! 15,000′ mountains! As we proceeded, I saw that we could make it to Wasilla and still have legal reserves, so I called ATC and diverted on to PAWS. The cloud layers started getting higher, and I was able to climb to 18,000′ and stay on top of the clouds. 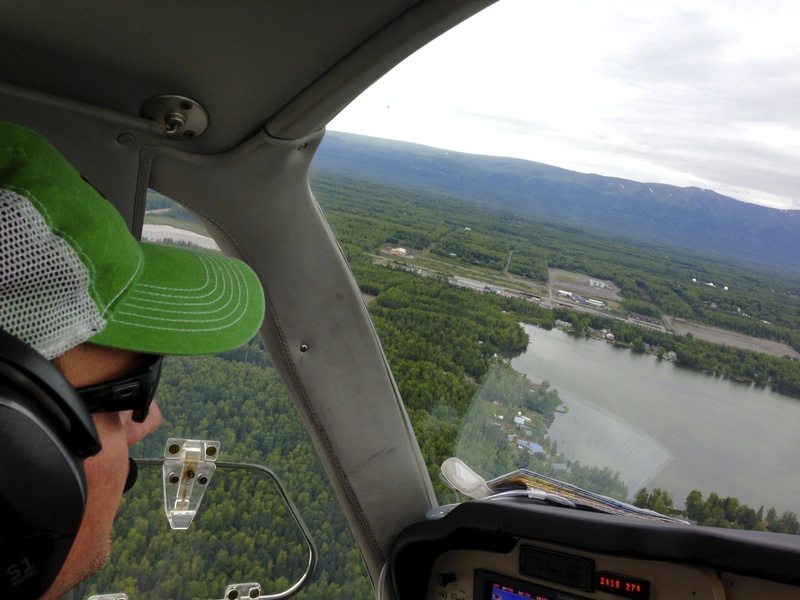 The air was smooth and the fuel situation continued to look good. The biggest challenge was getting down through the layer. There were no reports of ice by any of the flights coming out of Anchorage, so I felt pretty good about my decent through the layer. However, I wanted to stay in the clouds as little time as possible. Now a “normal” decent would have dropped me right into the cloud layer with temps below freezing and terrain below me….umm…no thanks. I talked with ATC and asked for pilot’s discretion on my decent. No problem. 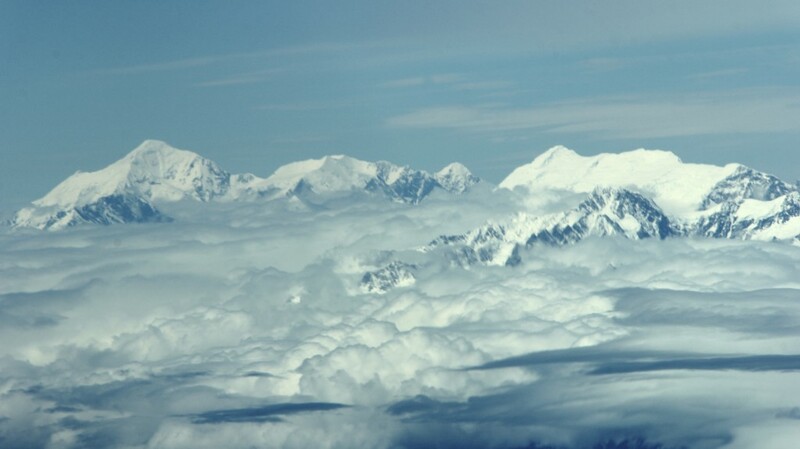 The plan was get into the Anchorage area where the terrain dropped and would allow me to decent below the bases of the clouds. It made for a steep decent and hard work controlling my speed, but we were able to quickly get through the cloud layer with just a small amount of light rime ice building up on the wing. 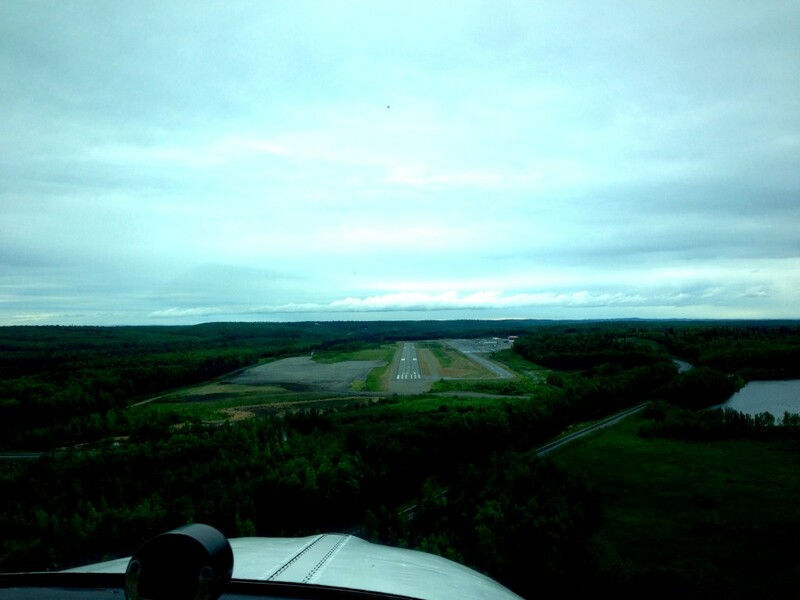 We broke out below the clouds and had the airport in sight and were cleared for the visual. A quick IFR cancellation, a nice tight pattern and a squeaker of a landing brought my longest cross-country flight to an end. Rolling out and seeing my wife’s college roommate jumping up and down for joy and hearing my bride squeal with excitement was worth every hour of planning and all the work to make that moment happen. We parked on the ramp filled with Super Cubs, Mauls, J-3 Cubs, and a host of other bush planes riding on huge tundra tires. Our sleek Bonanza was one of only two low-wing airplanes on the whole field.